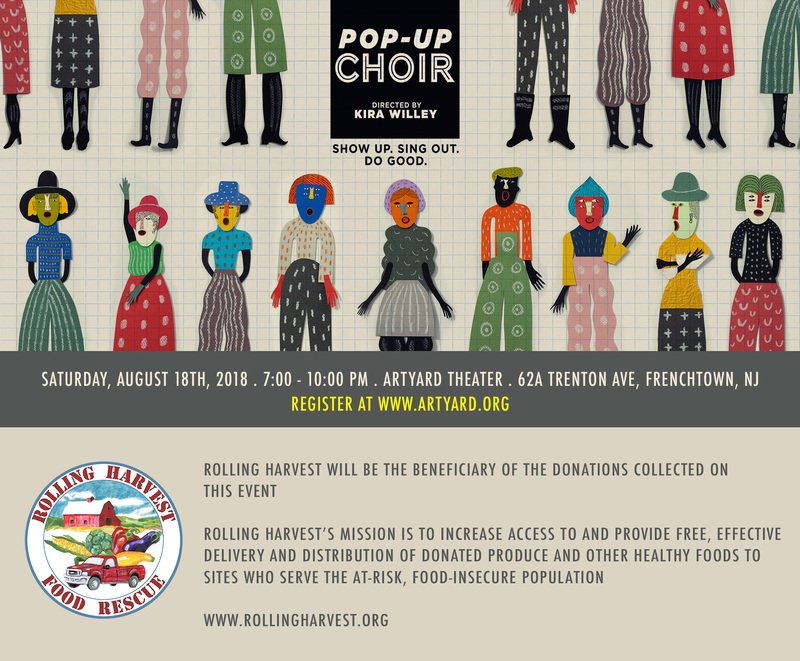 Please join us on Saturday, August 18th for an evening with Pop-Up Choir, a unique experience of community, musical celebration, and helping others. This time all the donations collected will benefit Rolling Harvest , a wonderful food rescue organization that we admire and respect. Rolling Harvest’s mission is to increase access to and provide free, effective delivery and distribution of donated produce and other healthy foods to sites who serve the at-risk, food I insecure population. Please join us on Friday, April 6th for an evening with Pop-Up Choir, a unique experience of community, musical celebration, and helping others. Nationally recognized performer and teacher Kira Willey will lead singers of all skill levels in a joyful, judgment-free atmosphere. The Choir will learn a simple and fun arrangement of a contemporary pop or folk song on the spot. By evening’s end, the voices of Pop-Up Choir ring out! As a no-commitment, no-rehearsal choir, Pop-Up Choir is open to all. Truly no musical experience is necessary to join! There is no admission fee for this event. All donations made will benefit ArtYard’s programming. 6:00 PM – 7:00 PM As people arrive, DJ ARM 18 will begin the evening with a soulful soundtrack —spinning jazz, rock, and old-school hip-hop with the warm snap, crackle, and pop of vinyl. 7:00 – 9:00 PM Kira Wiley will then work with the choir on mastering a simple and fun arrangement of a familiar tune. When it’s ready, audio and video of the final performance will be captured—singers are encouraged to record it as well and contribute to the pool of footage. A video for sharing will be online within a week of the event.